Carol Tojeiro is a joint MAIR/MAECN student who will complete a Master of Arts in International Relations and a Master of Arts in Economics. She will be completing an internship at the Organization of American States in Washington, DC this fall. This summer, I had the opportunity to intern abroad with IOM, the UN Migration Agency, in Ghana. 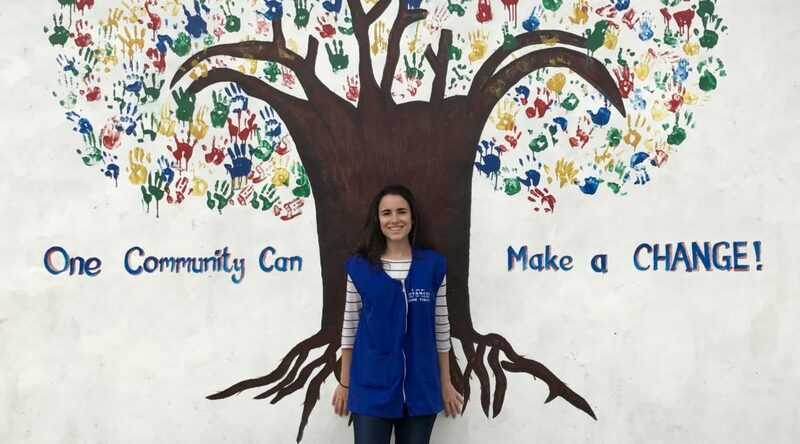 My decision to pursue an internship abroad was to gain practical field experience with an international organization in a development context. During my internship, I had the opportunity to work on migration and child trafficking related issues, and to travel to different regions of the country. Following the first week of orientation, along with other SU interns, we travelled to the Brong Ahafo region where we interviewed migrants who returned from Libya, Spain, Morocco, Mauritania, Senegal, and Algeria. They shared with us the hardships they faced when travelling irregularly, which we later narrated in the iamamigrant.org Campaign. This campaign, spearheaded by IOM, aims to promote positive perceptions of migrants and to combat xenophobia. During the following weeks, we also interviewed potential migrants to learn about their own perceptions and we participated in the Safe Migration sensitization campaigns conducted by IOM and Ghana’s Immigration Service. During the second half of the internship, we travelled to the Volta region to observe module rollouts and gather visibility materials of the Child Protection and Child Trafficking Prevention Campaign. This campaign, funded by UNICEF and implemented by IOM, educates community members on how to raise a child, about children’s rights, and on the importance of investing in their future. It also aims to reduce child trafficking in the region, given that children are often sold to fishermen when families find themselves in destitute situations. 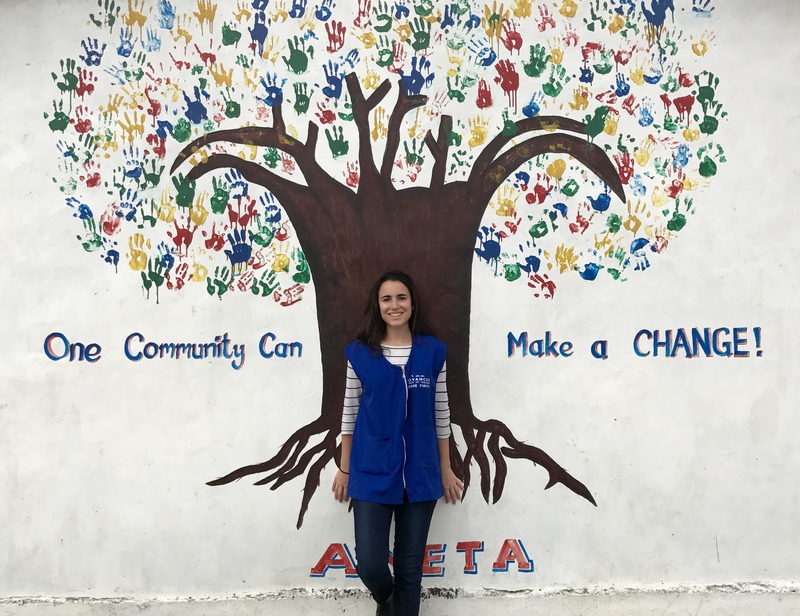 Overall, it has been a rewarding experience which has provided me with essential skills to pursue a career in the humanitarian field. My most memorable experiences were visiting the Egyeikrom Refugee Camp, the slave castle in Cape Coast, interviewing returnees, and the traditional dances performed by the school children in several of the Volta communities. Tim Stoutzenberger is a recent graduate of the ATLANTIS Transatlantic Degree Program, where he earned a MAIR from the Maxwell School in Syracuse, New York and a MPP from the Hertie School of Governance in Berlin. Last Summer, I was fortunate to receive a field research grant from the Moynihan Institute. I spent thirty-five days working in the Balkan region, conducting site visits, interviews, and performing general research for the Global Black Spots Project. That experience helped me further formulate my thesis, which focuses on security and development trends in the Balkans during European Union accession. 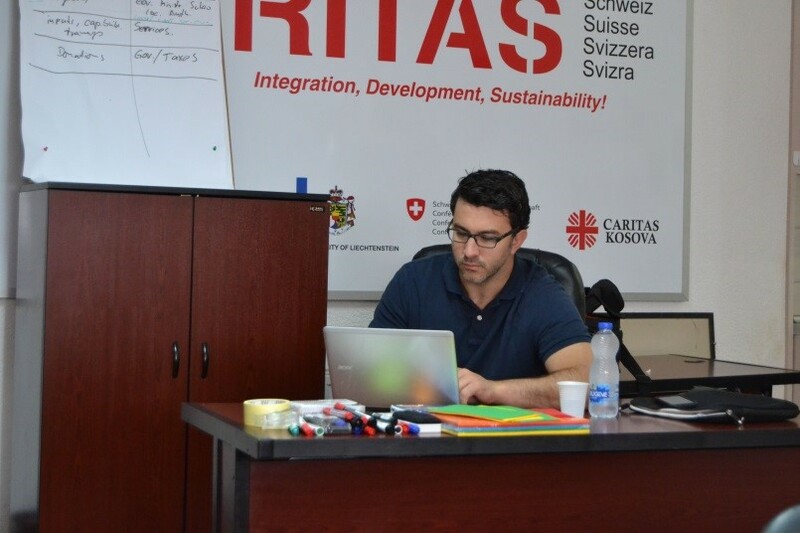 With that in mind, in June I began a three month consulting contract with Caritas Switzerland at their Western Balkans Regional Coordination Office in Sarajevo, Bosnia and Herzegovina (B&H). A bit of background…I got in touch with Caritas Switzerland by reaching out to Raymond Bach, director of the SU Strasbourg Center in Strasbourg, France. I knew Professor Bach had friends in the Balkan region, and sure enough the wonderful Maxwell network came through. For the month of June I teleworked from The Hague, Netherlands while finishing classes at the International Institute of Social Studies. During the first few weeks of my contract, I collaborated via Skype wtih the Balkan Regional Delegate, gained a better understanding of current programs, and began developing the frameworks for upcoming projects. I arrived in Sarajevo on July 1st during an interesting time for the B&H office and for Caritas Switerland’s regional activities in general (the organization is present in Kosovo, B&H, and Romania). 2011-16 projects were ending, the corporate strategy in Luzern was shifting away from unfettered humanitarian aid, and the local offices were beginning to draft their country programs for 2017-20 with the new strategy in mind. At the B&H office I work with projects focused on regional food security, youth education and vocational training, income generation, market expansion, migration/refugees/human trafficking, and socio-economic rights for marginalized communities. Larger programs dealing with everything from resource sustainability to public health to conflict resolution are in play as well. I get to travel a good bit, meeting with partners in Tirana, Gorazde, and at our Kosovo office in Przren. The Global Programs Award I received proved essential during these last few months, especially while I was getting set up in Sarajevo and working locally on my thesis. Additionally, Caritas Switzerland recently agreed to extend my contract which came as welcome news. Oleksiy Anokhin is a student in Maxwell’s Executive MPA and MAIR programs. These programs are aimed at mid-career professionals with significant management experience. I spent summer 2016 in Atlanta, GA, as an intern at The Carter Center (TCC). I chose this organization as my internship opportunity intentionally for several reasons. First of all, my previous work experience in Ukraine was primarily related to public service, elections, and law. I regularly communicated with representatives of US NGOs, which observed several electoral campaigns in Ukraine. As a result, I became interested in their activities and wanted to learn more about their internal management process. 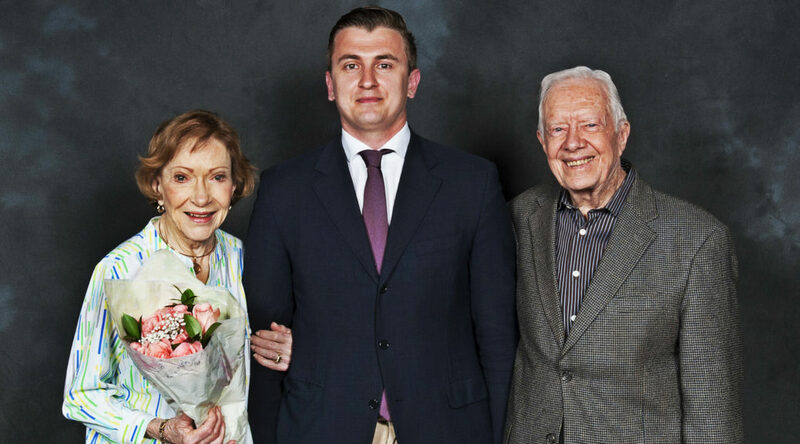 The Carter Center, which is still actively managed by the former US President Jimmy Carter and his wife Rosalynn, has an excellent reputation in international development. The Center observed more than 100 elections during last 25 years across the world, is actively engaged in conflict resolution and human rights advocacy projects, and manages various health programs. 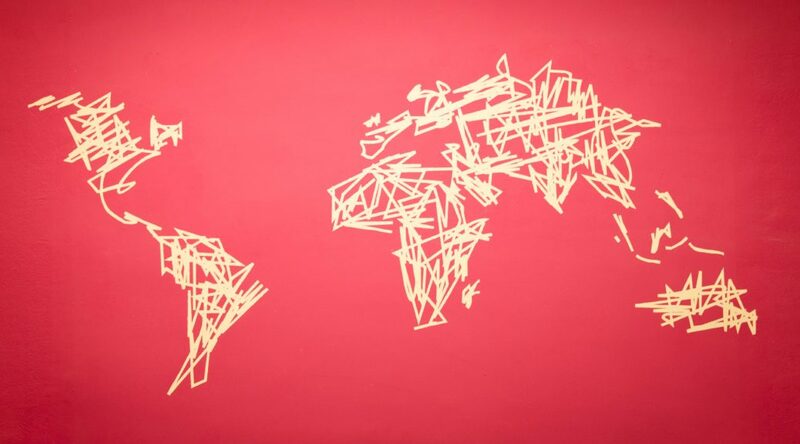 For instance, TCC fights several diseases in developing countries. Due to efforts of TCC and their partners, one such disease, the Guinea worm disease, which infected approximately 3.5 million people in 1986 in 21 countries in Africa and Asia, has almost been eradicated. In 2015, only 22 cases were observed. One more example of their impactful activity is TCC’s Syria Conflict Mapping Project, which analyzes information about a complicated military conflict in this country. 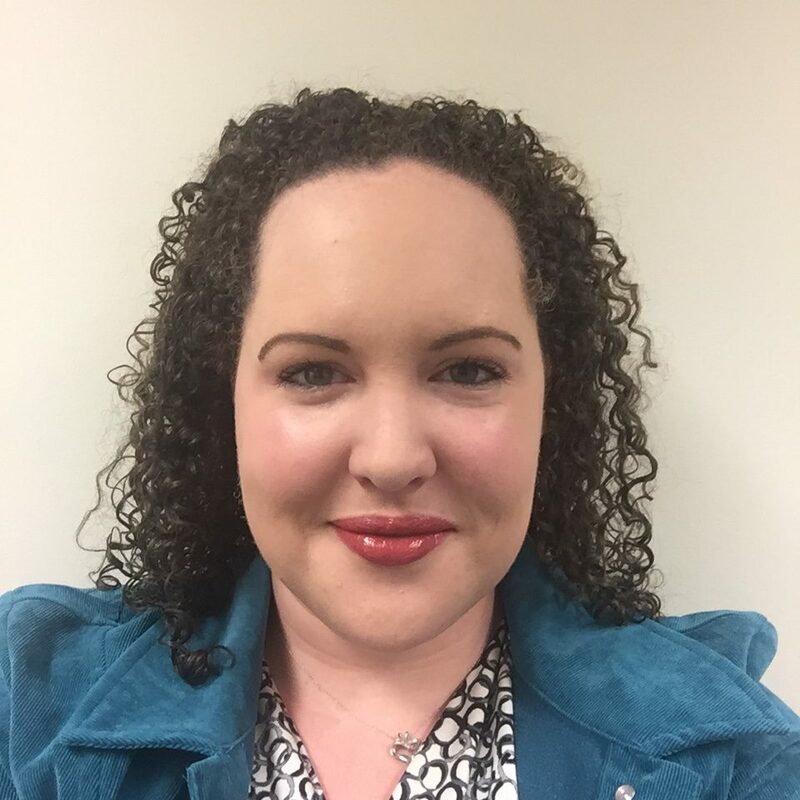 I was an intern in the Democracy Program, which is primarily focused on elections and improving TCC legal knowledge about European electoral standards. This work gave me a chance to learn more about the real-life work of an exceptional US NGO, build connections with excellent experts, and gave me several ideas about crucial skills necessary for working in international development such as data analysis and budgeting. As a result, I picked my fall 2016 courses based on my experience in TCC and have been very pleased so far. 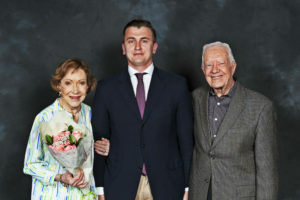 The second reason for me was a chance to be involved in amazing humanitarian work, which is conducted by Jimmy Carter. He still remains extremely proactive, participating in various TCC events and making decisions in the Center. Jimmy Carter became a moral leader for millions of people across the world, and especially effective in the humanitarian field. TCC makes for a great job, organizing different social events for their interns with the former President and the First Lady and inspiring the younger generation to follow their life path. Finally, TCC and Atlanta became an interesting cultural experience for me as a foreigner. After one year in Upstate New York, I was interested to see the South and compare it with the North. In general, internships in TCC are unpaid, but partial funding is possible (and I got it). However, right now I understand the benefits of internships in the US professional culture more. In my case, having almost 10 years of legal and government experience, I was more interested in TCC activity as a professional, not as an intern. I tried to note their effective and ineffective managerial processes, and understand how to cooperate with such organizations and their experts in future as a Ukrainian public servant. I strongly encourage those Maxwell students who are interested in conflict resolution, human rights, elections, and health management to consider TCC as a possible internship and future job opportunity. I was impressed that people in this organization are so focused on values promoted by TCC and work hard to make the world a better place. Jimmy Carter still remains their fierce chief and a moral leader for many others. TCC is an excellent place for those who are driven by Maxwell’s Athenian Oath ‘to transmit this city not only not less, but greater, better and more beautiful than it was transmitted to us’.